The U.S. charter banking system was established to replace a loose and notoriously porous banking system in which the banks of individual states issued their own currency and acted autonomously. The currency of one institution could well be worth more than another, and counterfeit notes were plentiful. After the federal government brought uniformity to the U.S. currency, it then introduced charters to better monitor and protect the country’s banking system. Taking the issuance of banking charters away from individual states ensured fairness in the decision making process and reduced the possibility of corruption at the local level. There are six codes granted to banks through bank charters. They are for nationally chartered commercial banks, regulated by the Office of the Comptroller of the Currency (N); state-chartered commercial member banks regulated by the Federal Reserve (SM); state-chartered, nonmember commercial banks regulated by the FDIC (NM); state or federal savings institutions regulated by the Office of Thrift Supervision (SA); state savings banks regulated by the FDIC (SB), and insured branches of foreign-chartered institutions (OI). Also known as business banks, commercial banks are for-profit institutions which offer businesses and consumers banking services, such as business loans, depositories, checking and money market accounts, time deposits and sometimes trust services. They are categorized as federal, state member or state nonmember commercial banks, and all are insured by the FDIC. They are regulated and must file financial forms with their governing boards. National commercial banks are supervised by the Office of the Comptroller of the Currency, state member banks by the Federal Reserve Board and state nonmember banks by the FDIC. As the name suggests, savings institutions are about long-term monetary commitments. Also known as savings and loan institutions, they specialize in real estate financing. Insured by the FDIC and governed by their own boards of directors, savings institutions can be state savings banks or federal savings banks, regulated by either the FDIC or the Office of Thrift Supervision. What Is a Thrift Charter? How Does the Banking Act of 1935 Affect Us Today? 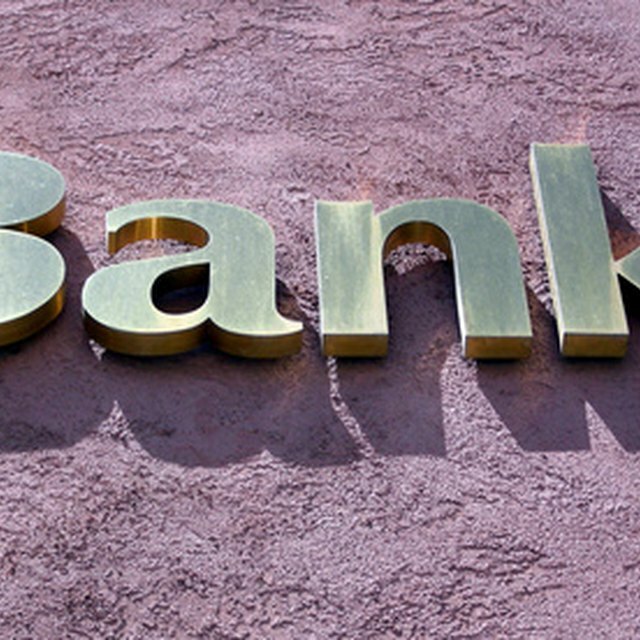 Foreign bank branches operating in the U.S. are an integral part of the U.S. banking system, representing about a quarter of the country's commercial banking assets. Foreign banking institutions must obtain approval from the Federal Reserve and follow all U.S. regulations. They can be federally or state licensed, and can perform a full range of savings and commercial banking services.